We recently had Alpha Air Corp. to our business to clean out our ductwork. You did a great job and the place never smelled so fresh. Welcome to Alpha Air Corporation. We are a full–service air duct cleaning company that proudly services the surrounding Minneapolis area. We have 30 years of experience in the duct cleaning industry and offer a complete range of air duct cleaning services for residential homes and commercial and industrial businesses. Why Use Alpha Air Corporation? At Alpha Air Corporation, we are committed to making sure that every job we do is done right and done promptly. Here are a few examples of our commitment to that. 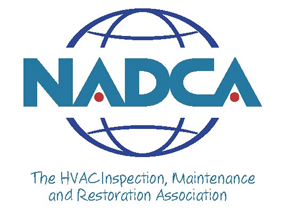 NADCA certified technicians — Our technicians are certified by the National Air Duct Cleaners Association. 24/7 Emergency service — We can’t plan for everything. Sometimes things fall apart in the middle of the night or at the worst time possible. When your ductwork is giving you problems outside of normal business hours, you want to know you’re working with a company that is ready to help you when you need it most. Responsible sanitizing agent — We use a sanitizing agent that leaves no active chemical residue and that quickly degrades to a non–volatile compound after treatment. Residential and commercial — We have experience working with residential projects as well as large–scale commercial operations. Family owned — We take pride in our business and in being part of the community where we work. Commercial and industrial duct cleaning — Having a clean and odorless environment in your building is critical to your success. Also, if you have special vents for harmful chemicals or particles, we can clean those too. Residential air duct cleaning — Having the AC ducts and heating ducts in your home is a great way to potentially improve respiratory health and decrease the effects of allergy season. Dryer vent cleaning — You may not realize it, but without proper maintenance the dryer vent in your Minneapolis home could pose a danger to your home and your health. Fire restoration — After fire damage, soot and other harmful deposits could still be lingering in your ductwork. Let Alpha Air Corporation give your ducts a good deep cleaning to get rid of those harmful substances. Mold remediation — Mold is a huge problem for many homeowners in the Minneapolis area. Alpha Air Corporation specializes in quickly removing the mold from your home and making it difficult for it to regrow. One of the best ways to make sure that your indoor air quality is under control is to have your ducts regularly serviced. 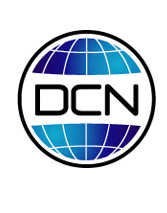 Unlike other duct cleaning companies, we know that your building and your situation is unique. That’s why we don’t offer a standard maintenance plan. We like to talk with our customers and get to know them. We can work with you to set up a custom air duct cleaning service plan that fits your schedule and your building’s needs. Give us a call today to talk with one of our friendly, certified technicians. Alpha Air Corporation offers commercial, industrial, and residential air duct cleaning services in the surrounding Minneapolis area. Contact us today and schedule your next duct cleaning service appointment! You vacuum and dust and spruce time and time again, but it just doesn’t seem to help. If you’ve got dust piling up in your home, it may seem like there is nothing you can do but spend all of your time working on cleaning the house. Caring for your air ducts means making sure they are as clean as possible. When air ducts are dirty, they can spread contamination throughout the home or building. And in addition, your air conditioning and heating systems work less efficiently with all of that extra dust and debris in the HVAC system. 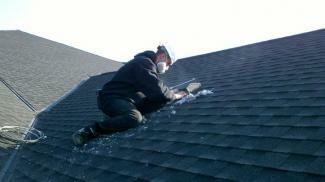 Alpha Air performs cleaning on roof venting dryer exhaust ducts for the Summit Place homes.